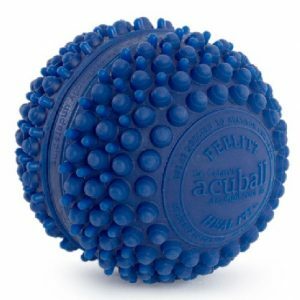 The AKU BALL is a firm sensory massage ball for soft gymnastic, massage self-massage, all of which can be performed simply and easily on any part of the body. 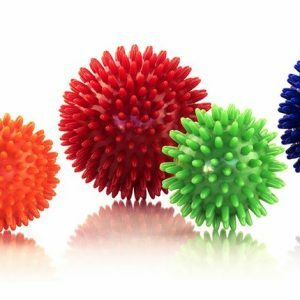 .Aku Balls are firm to the touch with little bumps for gentle pressure and stimulation. 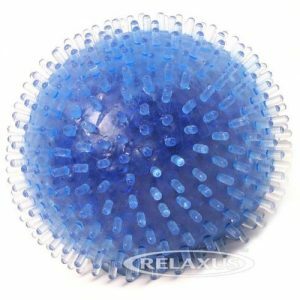 The bumps stimulate various pressure points while providing a good surface for grip ThIs Massage Ball is a hard sensory massage ball suitable for those who prefer a stronger sensory response. 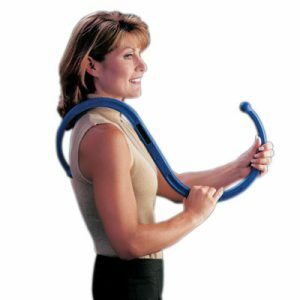 It is ideal to provide stimulation when used in massage, therapy, reflexology and relaxation exercises. 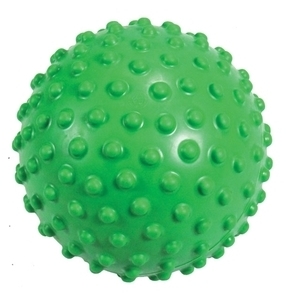 The Aku Ball is a rigid, inflatable ball. Massage with the Aku Ball is esigned to rekindle the sensitivity of all areas of the body; exercises and positions to relax tension in the muscle and joints; antalgic positions and spinal relaxation; skin massage and self-adminstered massage of internal organs. Aku Massage Balls can be used for deep tissue massage.. Needs to be inflated with a small needle pump.